The first episode of Andrew Graham-Dixon’s rangy, detailed and enlightening new BBC series begins in the Basilica of St Denis: the first European example of what we now call Gothic architecture. For hundreds of years before the surviving building’s 12th-century construction it had been the burial place for Frankish monarchs, and continued to be for French kings until the early 19th century. But in the minds of some, Graham-Dixon tells us, the commune of St Denis today ‘doesn’t even deserve to be considered part of France’ because of its North African immigrant population. But France has ‘always been a mongrel nation’, he tells us. At a time when French politics, not to mention world politics, is moving towards nostalgic nationalism and isolationism, it’s perhaps helpful to be reminded that something so crucial to European heritage – a style that would become known throughout the world as the ‘French Style’ – was inspired by Islamic architecture. This is just one of the interesting revelations in Art of France, which follows on from Graham-Dixon’s other ‘Art Of’ programmes, such as 2013’s excellent The High Art of the Low Countries. And this first episode cracks on apace, taking us from the medieval period up to the Enlightenment, stopping short of the French Revolution. It’s not the most stylish thing you’ll ever see. Expect your linen-suited presenter to walk through a marketplace to French rap. Expect a repeated clip of a guillotine falling to the block whenever impending revolution is mentioned. Expect the odd whimsical, picturesque leap of critical thought, in which Graham-Dixon describes Diderot in the portrait by Louis-Michel van Loo as ‘in full flow, the pen – you can almost hear it scratching away at the paper’. Expect text overlaying the screen in a bad font. But also expect an overload of interesting (as well as incredibly broad) information told in as engaging a way as you could want – from depictions of the Thirty Years’ War, in which a quarter of Europe’s population died, to works by Poussin, whose achievement was to ‘turn painting into a form of essay; a way of reflecting on the nature and the meaning of life’. Then there is the most ingenious piece of PR, propaganda or installation art of all time, depending on which way you look at it: Versailles, which gets a hefty section of the first episode. If there were ever a time to take an interest in the creation of gilded palatial monuments to egotistical rulers, it is surely now. For lessons in ingenious self-aggrandisement, Louis XIV still comes up trumps. 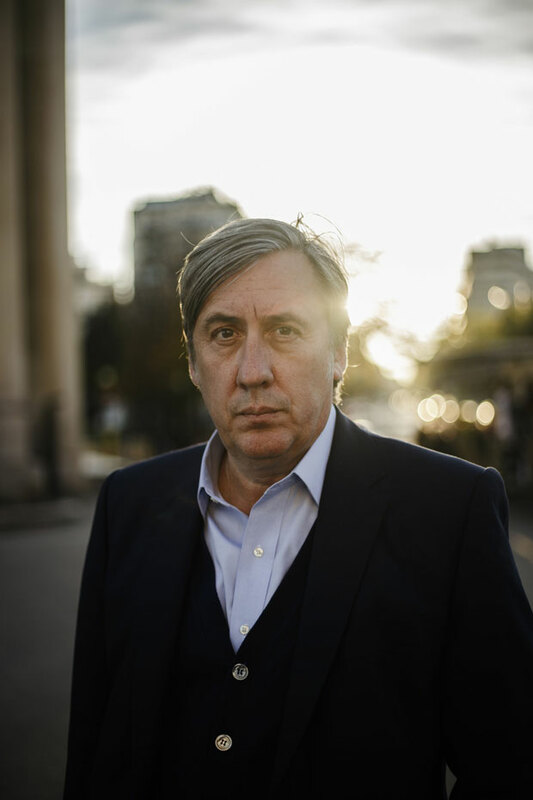 It was forbidden for commoners such as servants to die in Versailles, Graham-Dixon tells us, in case they ‘polluted’ the carefully constructed atmosphere, so they were moved offsite to expire inoffensively. Le Roi had 8,000 square metres of model towns stored in royal basements. Just as the palace was a gilded, mirrored cage for French aristocrats, a generation of artists were controlled by the French Royal Academy of Painting and Sculpture. In the form of Charles Le Brun, Versailles had its own painter propaganda minister, who told people which genres they were at liberty to attempt, and who encouraged ideals of form and unity as a metaphor for loyalty to the state. There were even prescribed facial expressions for artists to depict. You can observe them in Le Brun’s awesome and slightly repulsive canvases, for which the king himself chose the subjects, and even, it seems, advised on the composition. This, we feel, is a French masterclass in how to do narcissism on the global level properly. And we haven’t even got to Napoleon. In between there was the surreal melancholy of Jean-Antoine Watteau’s Pierrot, and the rococo decadence which would one day provoke revolution (cue guillotine clip). The Renaissance was a relatively quiet time for French genius in the visual arts, apparently, but in letters it more than made up for this. And it’s strange to say that the high point of this art show was a section discussing writer and philosopher Michel de Montaigne, which was effectively illustrated by the beautiful ceiling paintings and inscriptions that cover the ‘simple tower’ – actually rather luxurious – in which he worked. I’ve written before about Graham-Dixon’s tendency to lapse into other languages, either to banter with foreign gallery custodians or just for his own pleasure – even to speak to art works. With Art of France, he adds dead languages to this already impressive list, speaking in Latin in De Montaigne’s château. 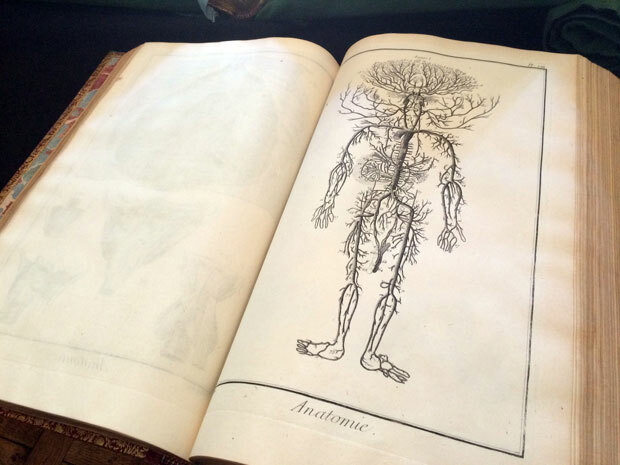 Along with him we have digressions on Rousseau, Voltaire and Diderot, whose collections of essays, we see, were originally illustrated with anatomical sketches or plain weird fantasies, including a man’s skeleton constructed from branches. Simply wonderful. It makes you freshly appreciate shows that give a broad yet informative sweep of all the arts. It also leads you to lament that there is so little room for them these days, and to realise how desperately they are needed. Civilisation 2.0: who could replace Kenneth Clark? The BBC intends to remake Kenneth Clark’s seminal TV programme ‘Civilisation’. Who should present it?